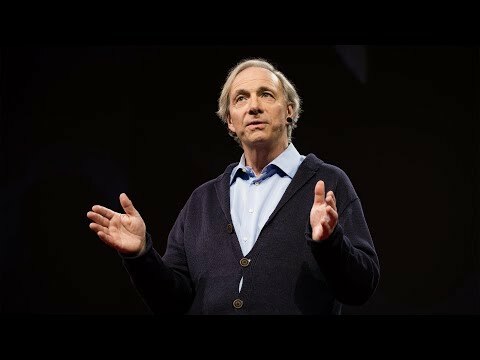 Ray Dalio, one of the world’s most successful investors and entrepreneurs, shares the unconventional principles that he’s developed, refined, and used over the past forty years to create unique results in both life and business - and which any person or organization can adopt to help achieve their goals. In 1975, Ray Dalio founded an investment firm, Bridgewater Associates, out of his two-bedroom apartment in New York City. Forty years later, Bridgewater has made more money for its clients than any other hedge fund in history and grown into the fifth most important private company in the United States, according to Fortune magazine. Dalio himself has been named to Time magazine’s list of the 100 most influential people in the world. Along the way, Dalio discovered a set of unique principles that have led to Bridgewater’s exceptionally effective culture, which he describes as “an idea meritocracy that strives to achieve meaningful work and meaningful relationships through radical transparency.” It is these principles, and not anything special about Dalio - who grew up an ordinary kid in a middle-class Long Island neighborhood - that he believes are the reason behind his success. "Mr. Dalio has long been an object of fascination. . . . His new book is more significant than the original list of principles: It is part memoir, part how-to guide. It is a deeply personal story, with Mr. Dalio wading into how he started his firm in 1975, internal conflicts inside the company, and strife early on in his career. The book is both instructive and surprisingly moving. . . . Underneath what may seem like a clinical, emotionless approach is something different and far more poignant: Mr. Dalio is preaching for individuals to have a sense of humility and introspection, an ability to open themselves to appreciate pointed criticism and use it to improve." "If there was an `it' book for businesses or careers in 2017, it was Ray Dalio's Principles. The book, weighing in at nearly 600 pages, begins with the author's own story, including the rise of Bridgewater Associates, Dalio's highly successful investment firm. Part memoir, part strategic plan, Dalio uses his own history to provide suggestions on attaining success while always stressing the power of individuality and personal goals. This isn't just a book for the power elite. Dalio's highly detailed game plan focuses on what he calls `radical' truths and transparencies, and are applicable to the careers of powerful CEOs, ladder-climbing executives, longtime grunts, and fresh-faced rookies." "I found it to be truly extraordinary. Every page is full of so many principles of distinction and insights-and I love how Ray incorporates his history and his life in such an elegant way." "I was surprisingly moved by it. I found it to be remarkably engaging. It made me think about life and how we all deal with each other in pretty profound ways. And Mr. Dalio's own story about how he came to these principles is fascinating." "The billionaire investor has created the strongest culture I've ever seen in an organization-one that prizes radical transparency over politics and meritocracy over democracy. In his long-awaited book, he describes the systems that he has designed to shape meaningful work, meaningful relationships, and the world's most successful hedge fund." "I highly, highly recommend this book. It has already changed how I think about making decisions in my life and in my business." "It's the book I wish I had as a young entrepreneur, stressing over not knowing what I didn't know. Principles offers a bible to the greatest skill an entrepreneur can have, the ability to Learn How to Learn in any situation. Read it." "Principles had a profound positive impact on my leadership style-through living more honestly." "Ray brings unique analytic insights about how to think about complex issues. His Principles is a must read. It's a gift to all of us." A great book for reviewing your own situation in life and asking the big question- what is it all about? Motivating to get you to define your values and principles and work out an action plan to get you where you want to go.